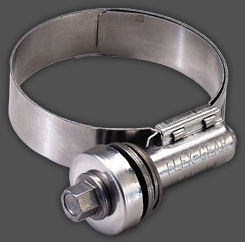 Heavy duty T-bolt clamps provide uniform sealing pressure for a positive, reliable seal. 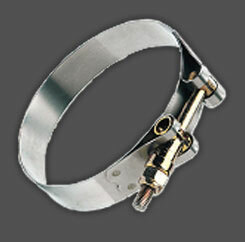 Specifically designed for use in high vibration and large diameter applications. Typical applications include truck air intake systems, cold side charge air systems, off-road equipment and industrial machinery.